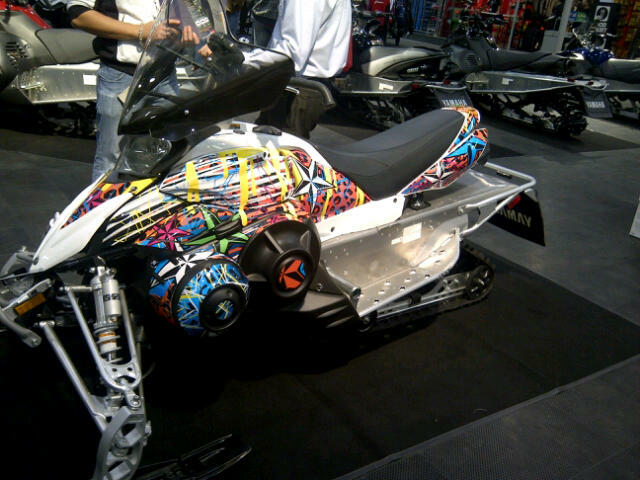 Free graphics wrap with purchase of a new Apex, FX Nytro or Phazer snowmobile October 19-21, 2012. Visit Kelly's Cycle in the Yamaha booth at the Snowmobile ATV Show, held at the Toronto International Centre to arrange for your uniquely wrapped brand new snowmobile. Visit our showroom in Hamilton, Ontario for a broad selection of new and used Yamaha snowmobiles, snowmobile bags and rear racks. Also snowmobile bib pants, jackets, gauntlet gloves and heated helmets.